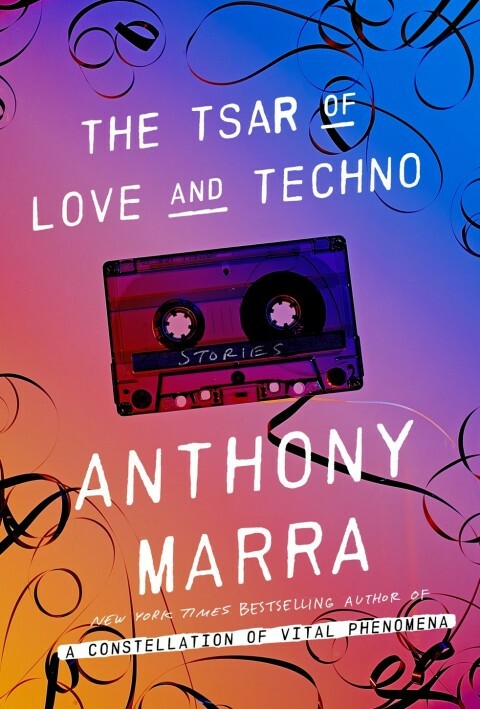 The Tsar of Love and Techno – Anthony Marra – Audible Book Review by Pat V.
American writer Anthony Marra’s second book is a collection of interlinked short stories following the turbulent lives of a group of characters from 1937 to the beginning of this century. Set, like his first prize winning novel, A Constellation of Vital Phenomena, mainly in Chechnya, it shows the effect, firstly of the repressive Communist regime of the USSR and later of the bloody wars for independence on the beleaguered people of this small state. Though its subject is often grim, this is not a depressing book. There are many episodes where it is impossible not to laugh out loud at the absurdity of the predicaments that his characters find themselves in. Marra’s ironic take on the world he describes and his assured and considered writing captures both the tragic and the surreally comic quality of their lives. The first story “The Leopard” acts as prologue to the collection and introduces ideas and themes that recur through many of the stories. It is a Kafkaesque tale, set in 1937 at the height of Stalin’s reign which tells the story of Roman Osipovich Markin, an artist employed with the sole task of airbrushing dissidents and enemies of the state from official portraits and photographs. Working from a dark underground office, his only means of protest is to insert images of his brother, Vaska, executed for religious radicalism, into the works he modifies, believing that his superiors are “far too focused on who I take out to notice who I put in.” However, when he becomes obsessed with a photograph of a ballerina whom he is asked to expunge, things start to unravel. The images of the ballerina and of Roman’s brother reappear in many of the other stories as does a home recorded tape of songs which a mercenary, Kolya, caught up in the Chechen war, carries with him, taking on a fuller and more poignant significance each time we come across them. Marra’s stories are like a jigsaw that, put together, creates a multifaceted picture of Chechnya past and present. His focus, however, is always on the human cost of repression rather than its political implications. “Grand-daughters”, one of the most moving stories, covers almost 70 years from the time when the grand-mothers are first sent to one of Stalin’s Arctic labour camps, needed “to make our country great”, to the relative freedom that their grand-daughters experience in the new century. Their lives, we discover, are not that different and in both cases “what makes them unremarkable is what keeps them alive”. The most humorous story of the collection must be “The Grozny Tourist Bureau” where an unfortunate deputy museum director, Dukorov, is given the unenviable task of preparing a travel brochure to attract foreign tourists to Grozny, dubbed by the United Nations as “the most devastated city on Earth”! Told to re-brand it as the “Dubai of the Caucuses”, he produces a “lavishly adjectival” document describing an empty space where an apartment building had been blown up as “wide, unobstructed skies” and, seeing a pack of feral dogs chase a man down the street, writes of “unexpected encounters with natural wild life”. However, a more sombre note is introduced when we meet Dukorov’s assistant, Nadia, deformed and blinded by an incendiary explosion. Marra is a writer of great talent and on the evidence of the two works he has published, deserves to become a major name in American literature. His stories amuse, move and instruct us but, above all, make us want to keep listening. The three narrators, Mark Bramhill, Beata Pozniak and Rustam Kasymov, read the stories well, capturing both the humour and the pathos of his tales. Marra’s first book, A Constellation of Vital Phenomena, is also available from Audible. Electric Picnic Sells Out Without Announcing A Band?